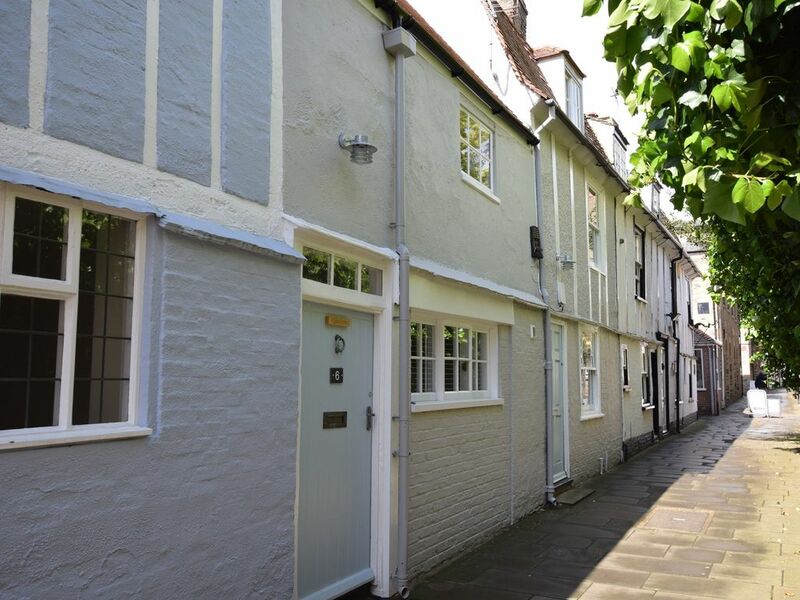 St Ives is situated on the river Great Ouse just a few miles from Cambridge and has a wealth of history dating back 1000 years and with connections to Oliver Cromwell. The property is only one of a few cottages that escaped the great fire of St Ives in 1680 which destroyed most the town.The famous Chapel on the medieval bridge is less than 100 yards from the property. St Ives is well served with a thriving high street browse the boutiques and antique shops to and an abundance of restaurants pubs coffee shops and weekly markets St Ives also has good transport links to Cambridge and beyond via the innovative guided busway. Visit historic Cambridge with its stunning university buildings and take a punt along the river. Entering this pretty period three story two staircase property via the front door into a spacious kitchen/diner with stable door to the patio area. The kitchen has been thoughtfully equipped and blends modern units with vintage pieces electric oven and hob microwave fridge with ice compartment wine cooler dishwasher and washing machine. Enjoy a family meal at the table or a game of scrabble. The inviting lounge has been stylishly furnished with comfy sofas and chairs there is a TV/DVD. Through to the shower room with shower and WC. The stairs are cottage style and fairly steep and lead to a beautiful double bedroom then up again leading to the twin room on the second floor. There is a second staircase from the kitchen that leads to a double bedroom complete with en-suite shower room with shower and WC. Outside there is an enclosed Mediterranean style patio area with garden furniture and BBQ. There is no parking at the property parking is available close to the property. We arrived at Quackers to a perfect location and a perfect setup! Everything was set up very nicely. Easy to get to, easy to get around. We had 6 in our party, 4 being teenagers. We were all very comfortable. The village is safe and quaint. A perfect get away for the family. Thank you Quackers!